We offer creative campaigns and projects for raising money, promoting your mission and building up communities and social-change leaders. WONDER WHEELS FOR ERRICKA! 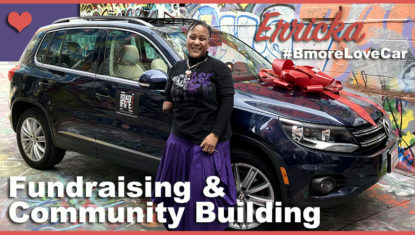 With the help of our expertise, this fundraiser delivered a car, cash and a boost for the Baltimore Ceasefire movement and its beloved leader. GENEROSITY PAYS. 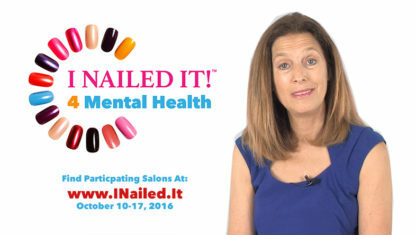 With the help of our video and storytelling expertise, this campaign raised money for a non-profit mental-health services provider, allowing local businesses to support their community. BOOSTING GRASSROOTS LEADERS. 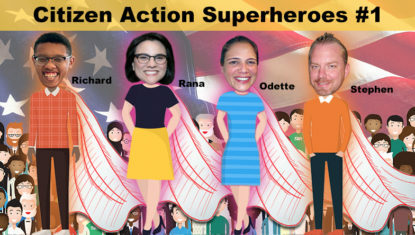 We interviewed and uplifted these community leaders, sharing their work and inspiration with the world. Too often, big names get all the attention when it’s the grassroots who move the mountains. CIRCLES OF VOICES. 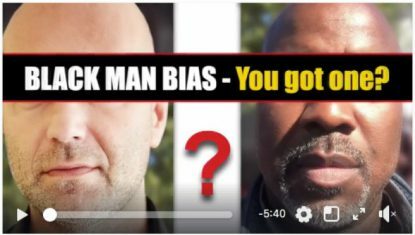 This video project promotes one remarkable man’s vision, connecting and uplifting communities across differences to build a stronger Baltimore, country and world. Raise money to invest in your cause, campaign or community. Inspire people to get involved in your cause, campaign or organization. Boost leaders and helpers bringing their goodness to the world.